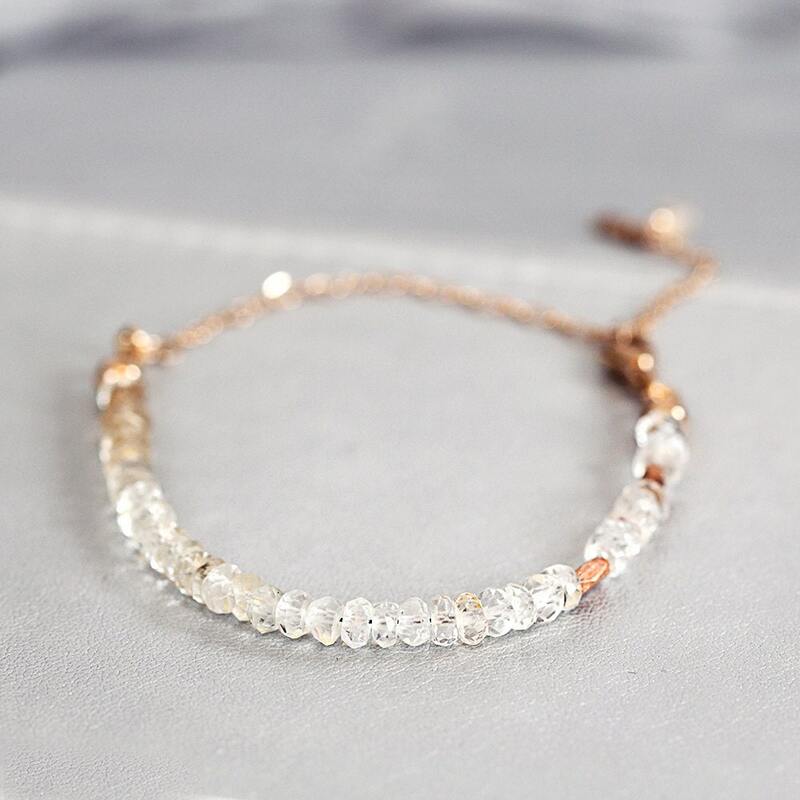 This beautiful rose gold and white Topaz bracelet is feminine, dainty and elegant, and will bring any outfit to life. 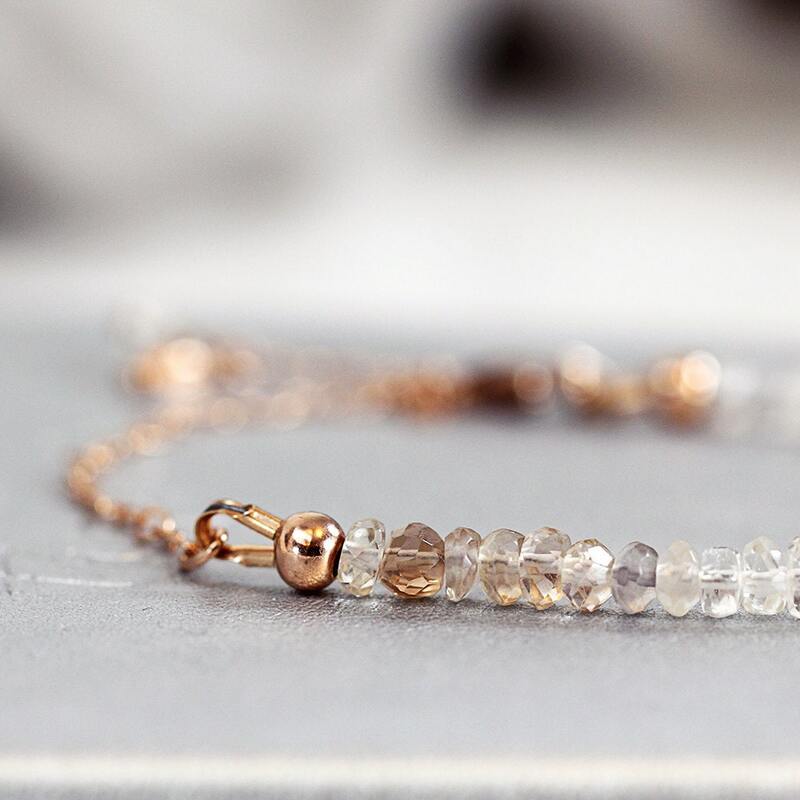 Featuring gorgeous, white and champagne coloured gemstones accented with rose gold. 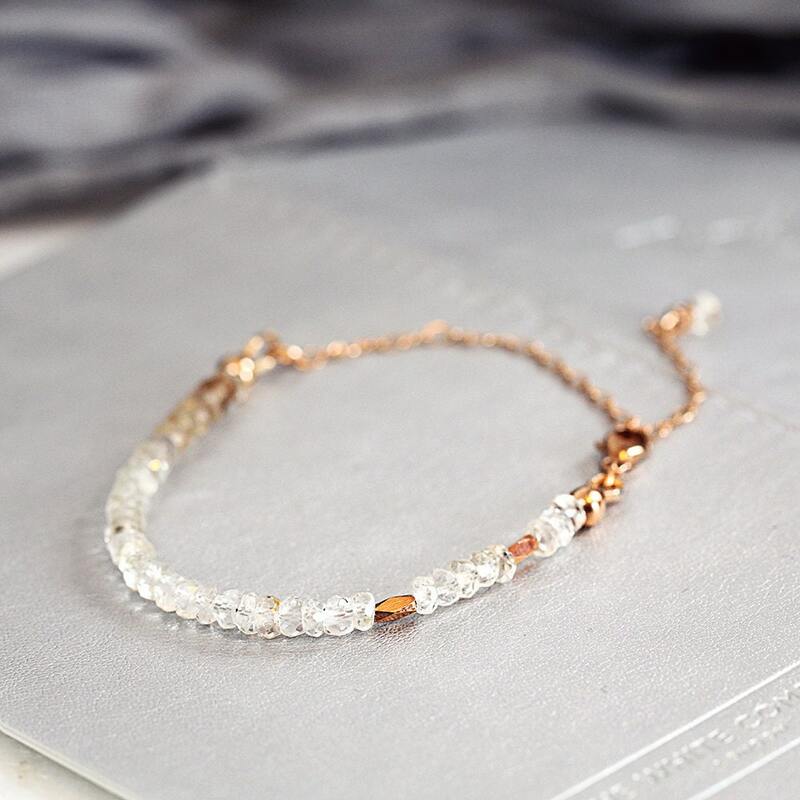 The topaz stones are strung in a very subtle ombre pattern, whereby the stones drift from soft white through to pale champagne. For a more comfortable fit and delicate design, this bracelet has chain on the underside, meaning no more beads digging into your inner wrist. 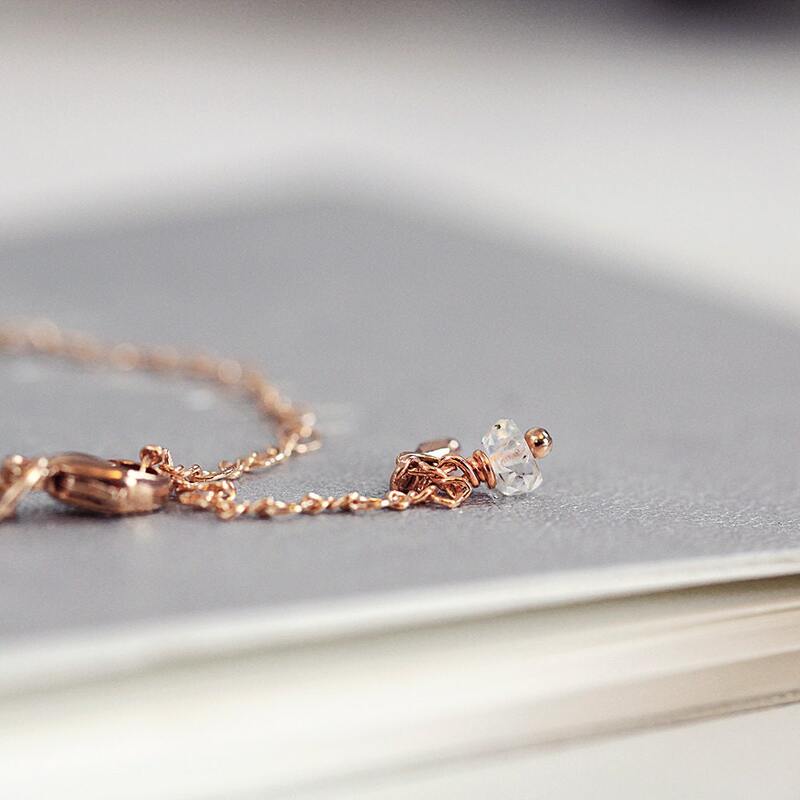 It's adjustable in length, closes with a lobster clasp, and is finished with a topaz and rose gold charm that dangles beautifully on the inside of the wrist. Shown with rose gold fill metal, but is also available in gold or sterling silver. Topaz, the birthstone for November, is a balancing and calming stone, said to bring joy, confidence, success and good fortune. 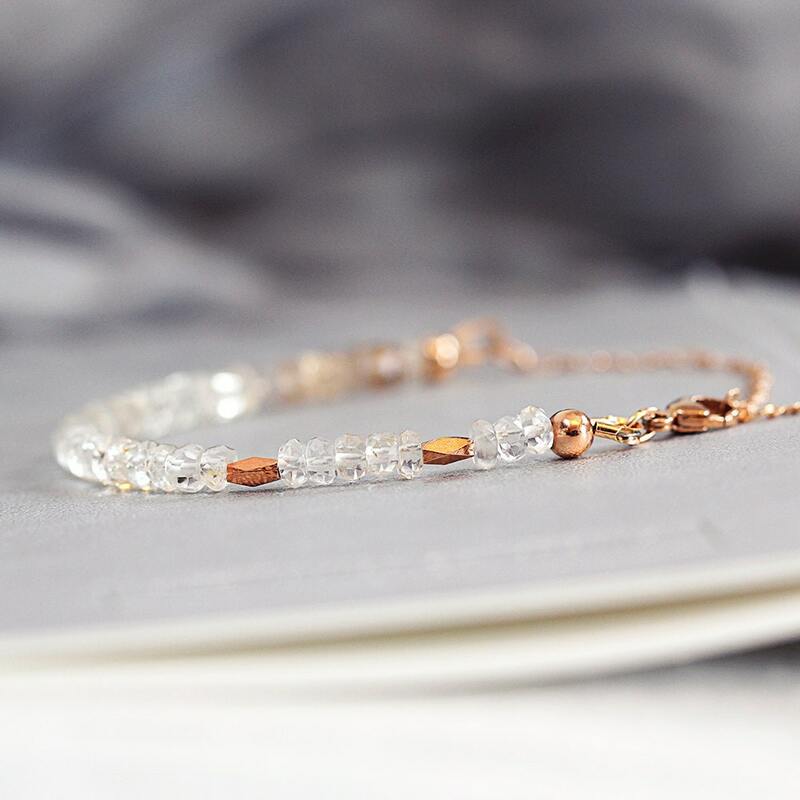 This handmade bracelet makes a gorgeous gift for a special occasion such as a November birthday, an anniversary, Mother's Day, Christmas or Valentine's day - for mum, sister, girlfriend, wife or a friend. * topaz beads measure approx 4mm. * beaded section measures approx 4.5 inches. Love it! Awesome use of the gemstones and so stylish next to my other bracelets. Thank you!